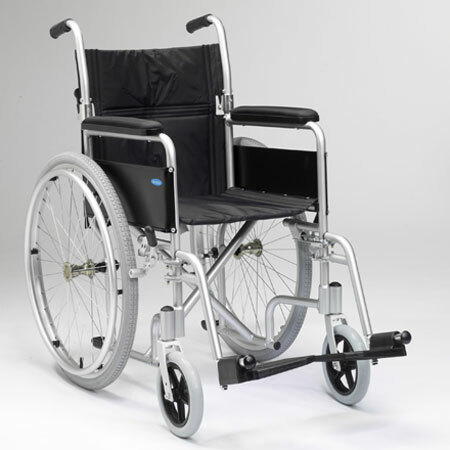 This Lightweight Aluminium Wheelchair offers a value for money introduction to the Enigma Aluminium Wheelchair range without compromising on quality. This self propel version features 24" quick release wheels with a hand rim and grey pnuematic tyres. It also has full armrests and quick release, swing away, height adjustable footrests. 18” seat width with a nylon seat & back canvas. Full length armrests with nylon upholstered arm pads. Comes complete with toolkit & owner’s handbook. Quick release aluminium 24” wheels with hand rim and grey pneumatic tyres.